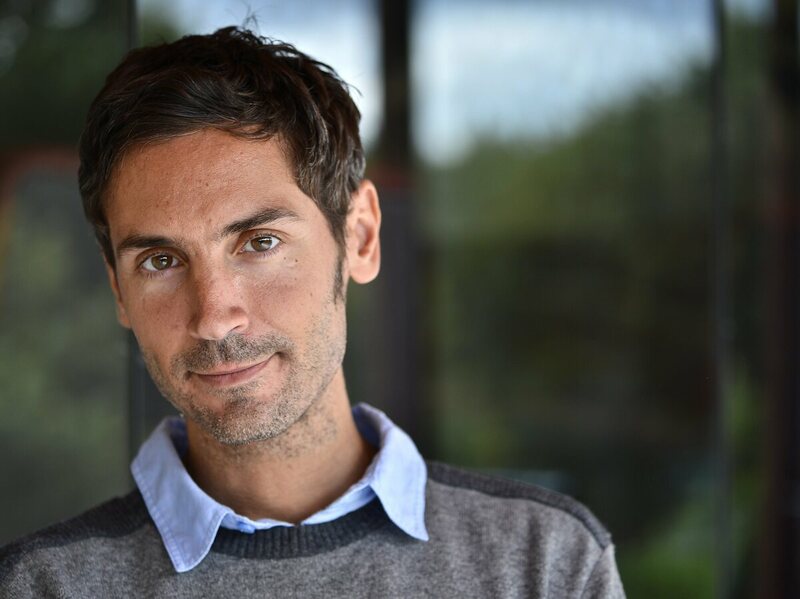 In Tragic Twist To Poignant Tale, Oscar-Winning Director Commits Suicide : Parallels Swedish director Malik Bendjelloul won an Oscar with his first documentary, a poignant story about an American singer who was famous in South Africa for decades and didn't know it. Swedish filmmaker Malik Bendjelloul spent four years and all his money making the documentary Searching for Sugar Man, about an American singer who was famous in South Africa for decades but didn't know it. The film won an Oscar last year. Bendjelloul, 36, was found dead in Sweden on Tuesday. Swedish director Malik Bendjelloul spent several years and all his money to make a moving documentary about an American singer, Sixto Rodriguez, who was unknown in the U.S. yet somehow became a legend in South Africa. The strange twist was that for decades Rodriguez worked as an impoverished laborer in Detroit and had no clue that he was an icon on another continent. And his rabid South African fans mistakenly believed a rumor that he had died many years earlier. Bendjelloul's film, Searching for Sugar Man, won the Oscar for best documentary in 2013. And his work in making the film helped Rodriguez discover and connect with his South African fans, who were astonished to learn Rodriguez was still among the living. A series of sold-out Rodriguez concerts in South Africa provided a touching ending that seemed almost too good to be true. Detroit singer Sixto Rodriguez's songs of protest and alienation made him a legend in apartheid-era South Africa, though he did not know this until decades later. This photo appears on the cover of his second album, Coming From Reality (1971). Now this strange tale has taken another unexpected turn. Bendjelloul, 36, was found dead in Stockholm on Tuessday. His brother, Johar Bendjelloul, told the Swedish newspaper Aftonbladet that Bendjelloul committed suicide after struggling with depression. Bendjelloul was the son of a Swedish mother and an Algerian doctor. After making a few short documentaries on musicians for Swedish television, he headed to South Africa in 2006 in an open-ended search for a new film. In Cape Town, he met Stephen Segerman, a middle-aged owner of a record store who, like many white South Africans of his generation, loved the music of Rodriguez. Segerman was such a fan that he had created a website called The Great Rodriguez Hunt, hoping to find scraps of information about the singer who had vanished without a trace. Most South African fans believed he was dead — what other plausible explanation could there be for such a popular singer who hadn't been heard from in decades? 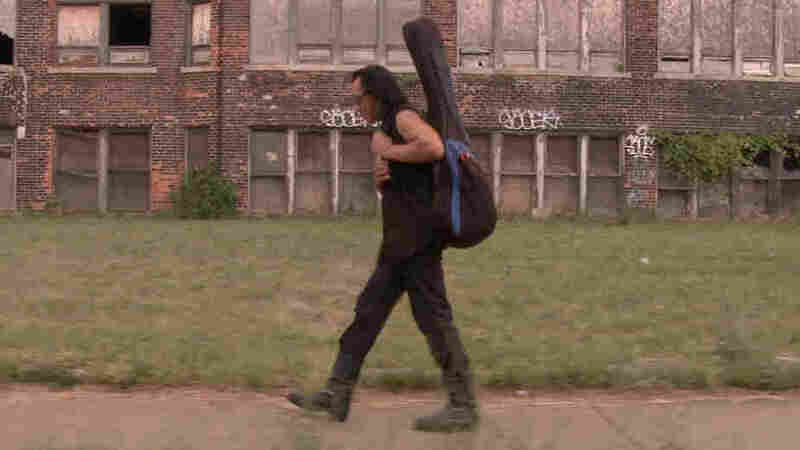 Rodriguez carries his guitar through Detroit, his hometown. Sensing a story, Bendjelloul decided to join the hunt and eventually found Rodriguez in Detroit, where the singer lived in a humble apartment, had split up with his wife, and had supported three daughters with construction jobs. His music career was by then a distant memory. His first album, Cold Fact, came out in 1970 and won critical acclaim but failed to sell. Rodriguez made a second album, Coming From Reality in 1971, and then drifted away from the music business in the U.S.
His ballads, with echoes of Bob Dylan, did strike a chord with Australians and he performed a 15-date tour there in 1979, according to Rolling Stone. But his biggest audience was young, anti-establishment, anti-apartheid whites in South Africa. They kept listening to his songs, year after year. When no new albums appeared, the death rumors became accepted as fact. "No one knows exactly how the album came [to South Africa]," Bendjelloul told NPR's Scott Simon in a 2012 interview. "But when it came, it just spread, and he became as famous — and as dead — as Jimi Hendrix. Everyone knew his albums, and everyone knew that Rodriguez was completely dead." 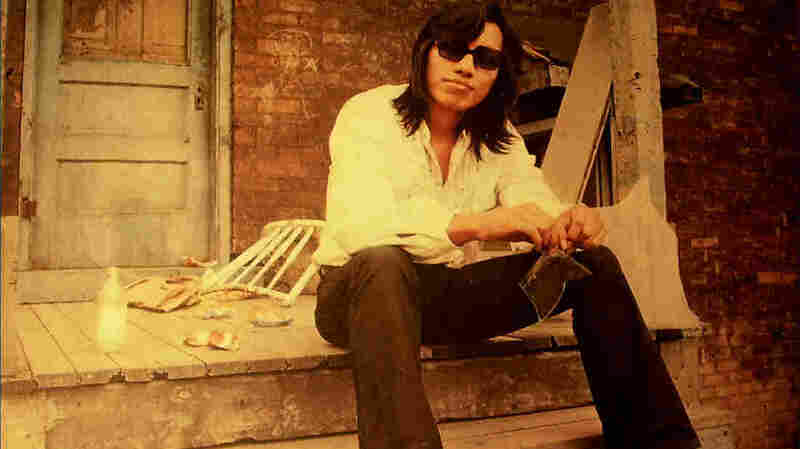 "Sugar Man" was featured on Rodriguez's debut album, Cold Fact. One far-fetched tale was that Rodriguez had set himself alight on stage and burned to death. Rodriguez's music wasn't just popular — his songs of protest and alienation were interpreted as a sharp critique of apartheid. In the 1970s, apartheid was in full force and opposition came almost entirely from blacks. Whites rarely spoke out against the system of segregation and had no organized movements. "The first white anti-apartheid movement derived [inspiration] from a few rock bands," Bendjelloul explained. "Rodriguez was the first artist that actually had political content that was anti-establishment that got heard. ... By remote control, Rodriguez was actually changing a society." Bendjelloul worked on his film for four years and ran so short of money that he filmed the final parts on his smartphone. During this time, a pair of South African journalists managed to find a phone number for Rodriguez in Detroit. "He thinks it's a crank call, a practical joke," Bendjelloul explained. "So they call him again and say, 'Listen, listen, this is true. Did you make an album called Cold Fact? ... In South Africa, it's more famous than Abbey Road.' "
After digesting this startling news, Rodriguez toured South Africa to huge acclaim. This also led to a revival of his music career in the U.S., where he is now performing regularly around the country, often at large venues. Searching for Sugar Man was released in 2012, and the following year Bendjelloul won the Oscar. Rodriguez turned down Bendjelloul's invitation to attend the Oscars and slept through the ceremony. "We also just came back from South Africa and I was tired," Rodriguez said. "I was asleep when it won, but my daughter Sandra called to tell me. I don't have TV service anyway." Greg Myre is the international editor for NPR.org. You can follow him @gregmyre1.